Two of the most anticipated 2015 Major League Lacrosse teams will square off on Sunday evening to open their season. 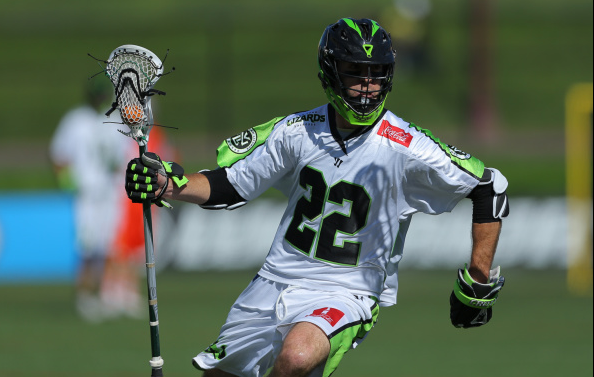 The New York Lizards, led by newcomer Paul Rabil, who play host to the Ohio Machine. Both the Machine and Lizards were bounced from the first round of the playoffs last season. After finishing in dead last in 2013, the Machine rebounded and made the semi finals last season. They’ve come back with more experience this season. Logan Schuss will miss this game and a few others, but Tom Screiber and Steele Stanwick are returning to the lineup healthy. The Lizards, meanwhile, are the most hyped team in the league going into 2015. Rabil joins their roster, which is already stacked with Rob Pannell, Ned Crotty, Tom Palasek, and more. Matt Poskay and Cody Jamieson should also join them sometime this season. The goaltending matchup is likely to be Drew Adams against Brian Phipps. The Lizards won the season series over Ohio last season 2-0. The first game was 11-9 but in the second game New York exploded with a 19-13 victory. Brian Karalunas, a former member of the Lizards, will make his Ohio Machine debut today at defense. For the Lizards, they also will see the debut of a defenseman, Brian Spallina whom they acquired from Chesapeake this off season. Steven Boyle will also make his debut for Ohio on the offensive side of the ball and the Lizards debut defenseman Andrew Casimir and midfielder Mike Stone, who came from Boston with Rabil. Ohio and New York are two teams projected for the playoffs this season and the Lizards are the most improved team from the off season. However, the pressure is on for them, as it is title for busy in New York.